Make your own colourful dream catcher with 4M. Hang it above your bed and let it catch all your bad dreams. Creates a 450mm long glow-in-the-dark dream catcher. 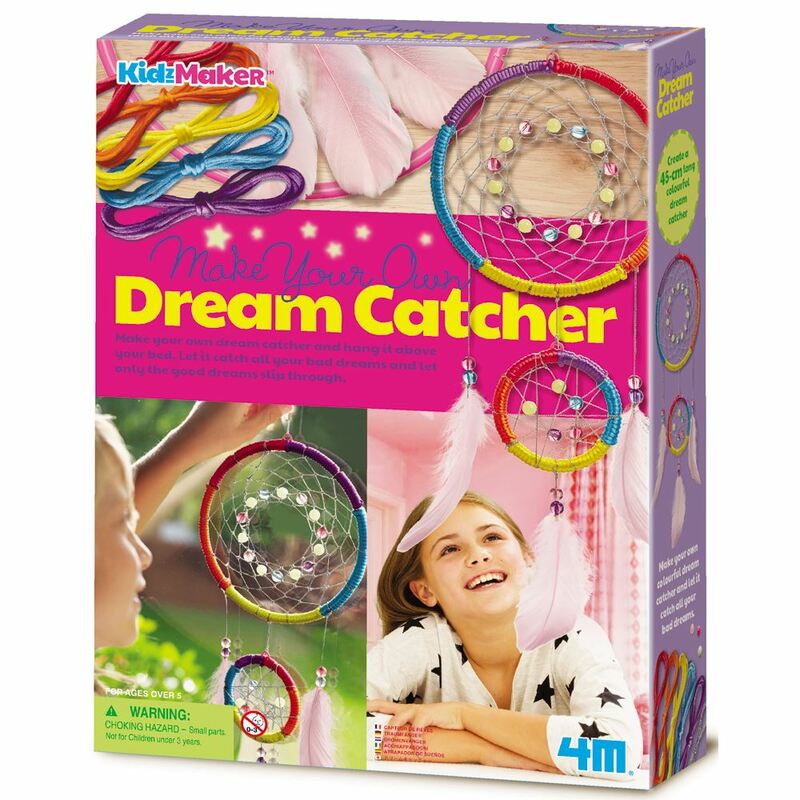 Includes: 2 hoops (160mm & 80mm in diameter), a bag of colour beads, bag of glow-in-the-dark beads, 3 feathers, 6 spools of string, a glue pack, and detailed instructions. Age 5+ years. Part of the KidzMaker range. Distributed in New Zealand by Holdson.